I can handle a lot, but the unknown is what really gets to me, what really sets my mind spinning and focusing on the wrong things. The unknown is what strikes terror at my heart. My daughter and I were talking recently. It was on a morning when I was particularly stressed about the unknown, about events that are completely out of my control. It was then that my daughter began to tell me what God was teaching her about putting faith over fear. Leave it to a 14-year-old to remind me God is in control and my fear is actually a sin. Leave it to my daughter to convict me of my lack of faith. This morning, I’ve really been trying to focus my mind on the things of God, to remind myself that God will fight for me and I only need to be still (Exodus 14:14). So I asked Cassie to write my blog post this week. Hey guys, its Cassie! Its been awhile since the last time I wrote on here. Since then I’ve matured in my faith a lot. As you can tell by the title, I want to talk about putting your faith over your fear so let’s dive in. Recently I’ve been interested in researching fear after I heard a clip of Sadie Robertson talking about fear. I looked up the definition of fear and I was pretty shocked. The definition says that fear is an unpleasant emotion caused by the belief that something or someone is likely to cause pain or danger. Did you catch that? That key word? Fear is a BELIEF! We CHOOSE to BELIEVE in fear instead of having faith in God and trusting that he is in control. We are born without fear, but we choose to not trust God in certain areas of our life and we choose fear over faith instead. You don’t give your heart in pieces, you have to give it all, or you give nothing. At Falls Creek this year someone said that Christians don’t tell lies they just sing them. You may be thinking that’s not me, but when you don’t give your all to God, and you don’t put your faith over fear you fall guilty of that statement. I ain’t got time for you tellin’ me what I’m not like you know me well guess what? I absolutely LOVE that song! It’s a great way to tell the devil, who’s disguised as fear, that you don’t need him and you don’t want him! We don’t gain control through fear but more often than not, fear gains control of us. Breakup with fear! Lastly, once you put faith over fear you aren’t done. After you give your all to God, you can’t just sit and relax, you have to present yourself to him even if you don’t know how he will use you. Hineni is a Hebrew word that translates to here I am. Abraham is a great example of hineni. Abraham often doubted God’s promises, but every morning he woke up, thanked the Lord and presented himself to God saying hineni. Here I am Lord! I’m ready for you to use me in ways I don’t understand and I’ll put my fears and doubts away and put my faith over them. You may fear change, but that’s where faith comes in. You can roll the dice but the Lord determines how they fall, but the Lord will not give you anything you can’t handle. I pray that you will be able to fully trust in God and have child-like faith. That you would present yourself to God, and let him use you. Tell Him, hineni God hineni! I ask that you would be ready for whatever God has in store for you and that you would show Jesus’s love to others and that he would shine his light through you every day. I pray that you would breakup with fear and choose to have faith instead! My I wish I had her wisdom at her age. Thing’s sure would have been better. She gives me hope for future generations. God bless you young lady you will do great things in your life. Thank you for allowing God to use you to speak into my life, Cassie. May God continue to grow you into beautiful woman you’ve already shown yourself to be. Blessings, sweetie. Its no coincidence that I awoke with similar emotions ruminating in my soul. These fearful and worrisome thoughts is a habit I am trying to overcome. 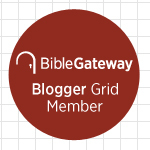 Your blog gives the antidote for fear….. fortify oneself with faith in the Promises of God that dispel all darkness before it can take root in our being. Praise be to Holy Spirit who took me to an assumption/lie that was in me “unknown” unconscious mind which supported and fueled my worry. As a professional project manager, I achieved great success by the knowledge I had on how to plan and execute small and large scale projects. However, the enemy beguiles me to assume the what is “known” is fully achievable and ordinary straight forward tasks. And when the little tasks (foxes) don’t work through I would simpy assume that these tasks are NOT spirtual or cause for a prayerfully approach and the need for faith in Jesus (who said “without me you can do nothing”). BIG mistake!!!! Big sin of pride. And underestimating my enemy who has been ensnaring me for decades. But praise God he open my eyes to fact that my joy, peace and rest was being destroyed by the little foxes of presumption, arrogance, traps of satan. I also realise that the enemy was systematically attacking my peace by lulling me into a false sense of confidence of what is “known”, which actually is assumed unknown to me but known to the devil and our Lord. I was the only fool living in unbelief that Father God already had the fortification and solution to a spiritual problem manifested in the natural. One of my favorite. Faith quotes :Faith is saying. ‘Yes’ to God before I even know the question. It’s strange how hole-y we are that we so easily emotionally forget how faithful He has been in our past challenges and start to panic when a new one arrives, as if this will be the time He lets me down! NOT!! I keep my refrain going “He’s never failed me yet — and He won’t start now.” ‘Do It Again ‘ by Elevation Band is my faith witness and testimony songs for declaring Truth about what God has done for me and will continue to do because He is good, absolutely, irrevocably and irreversibly GOOD!! Cassie, you are a remarkable writer! So much wisdom in your words. God bless you and I am praying your seizures are gone. To God, there is never an unknown. Remembering this has been my comforter, through all things.